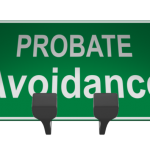 The probate process is time-consuming, it can be costly, and it is public. Anyone, who is interested, can find out how you planned your estate. If avoiding probate is a goal, you could utilize a revocable living trust. When this type of trust has been established, the trustee can distribute assets to the beneficiaries without having to go through a probate. You could also plan for possible incapacity when you have a revocable living trust. A disability trustee could be empowered to administer the trust in the event of your incapacitation. The reality is that privacy, in estate planning, is a common concern for most clients. Most people do not desire to let everyone know the nature of their property or the identity of the people they choose to inherit that property. 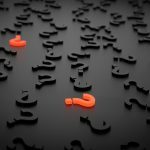 Luckily, there are several different strategies, in estate planning, that you can use to customize your plan in a way that keeps your affairs as private as you choose. However, to keep your plan truly private, you need to create something other than a simple will because it automatically becomes public record when a probate of your estate is opened by the court, after your death. Our estate planning attorneys can help you choose the appropriate strategies for passing on your assets to your chosen beneficiaries, while maintain the privacy of all involved. You may be under the impression that a living trust is a document that accomplishes the same thing as the last will. This is true in a very general sense, but there are some major advantages that you gain if you use a living trust instead of a last will. If you use a last will to distribute property that was in your personal possession at the time of your passing, the assets will be distributed as lump-sum inheritances. This could be perfectly acceptable for some people, who have the maturity to handle a lump-sum of cash, but you may have people on your inheritance list who are not good at handling money. Things are different if you utilize a revocable living trust instead of a last will. 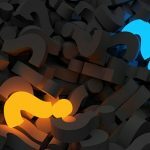 As the grantor of the trust, you would act as the trustee while you are living, but you would name a successor to administer the trust after you pass away. Our probate attorneys can help you properly draft your trust declaration, outlining your instructions on the distribution of your assets. A living trust is one option, but there are many different tools in the estate planning toolkit. A spendthrift family member could burn through his or her inheritance quickly. Down the road, there would be nothing to draw from, and you would not be around to provide financial assistance. The ability to provide spendthrift protections is one advantage that you gain with a living trust over a last will, but you can also take steps to prepare for possible incapacity. Unfortunately, many seniors become unable to handle their own financial affairs at some point in time. 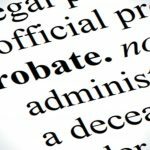 Let our probate attorneys help. You have a great deal of flexibility when you have a living trust, so you don’t have to worry about losing control once you convey assets into the trust. 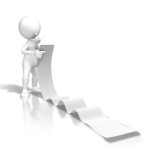 It is possible to add property to the trust along the way, and you can change the terms of the trust at any time. A living trust can be a good choice for a wide range of people. A living trust is a powerful option, but remember that there are many different tools in the estate planning toolkit. Join us for a FREE seminar today! 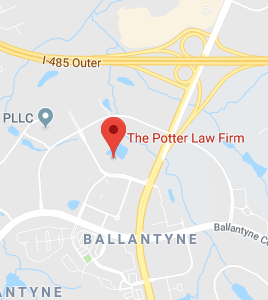 If you have questions regarding living trusts, avoiding probate, or any other estate planning matters, please contact the experienced attorneys at The Potter Law Firm for a consultation. You can contact us either online or by calling us at (704) 944-3245 in the greater Charlotte, NC area, (606)324-5516 in Ashland, KY, or (859)372-6655 in northern KY . We are here to help!